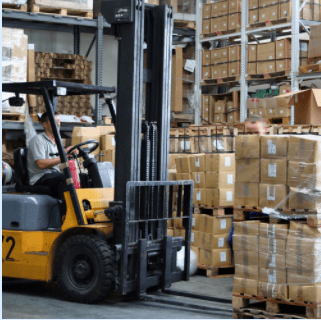 Material handling and movement in industrial settings is dependent on material handling equipment such as forklifts, pallet trucks, stackers, table lifts, and liquid handling products. It is important for this warehouse equipment to consist of the best quality parts so that it can move materials efficiently. With so much equipment needed for material movement, finding quality parts for all the equipment can be a major hassle. Mechanical Power has built professional relationships with many manufacturers in the material movement industry to help source the parts you need for your material handling equipment. Our experts will save you time and money by navigating between the top manufacturers to find the best quality material handling equipment parts for warehouse and loading dock equipment, liquid handling products, and forklifts. We only work with manufacturers that meet our high standard for quality and we also have our own quality control process to ensure that you get the best products available. Our attention to quality and customer service has made us one of the most trusted global sourcing companies for the material movement industry. Contact Mechanical Power today to learn how we can help you source high quality material handling equipment parts.